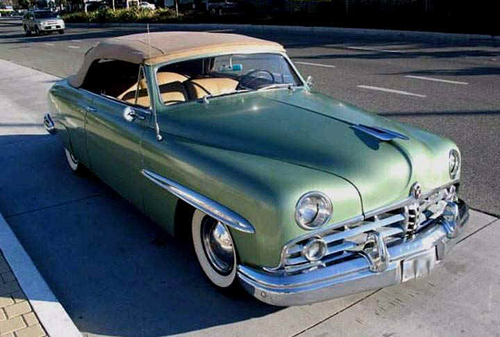 Lincoln was founded in 1908, by Henry M. Leland, the former head of Cadillac Motors. 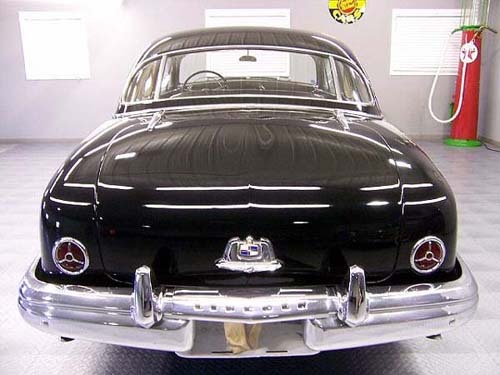 The Lincoln was targeted to those fortunate enough to possess the wealth and wanted to flaunt it. 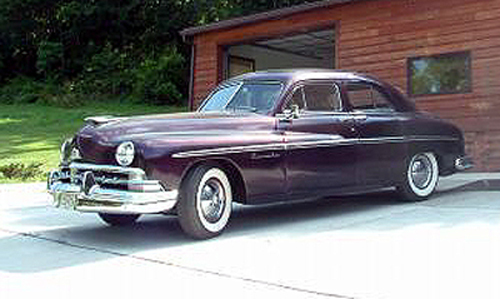 It would soon become a major competitor with the likes of Cadillac, Duesenberg, Marmon, Pierce-Arrow and Packard. In 1923 Ford Motor Company bought the Lincoln Motor Company out of receivership for 8 million dollars. 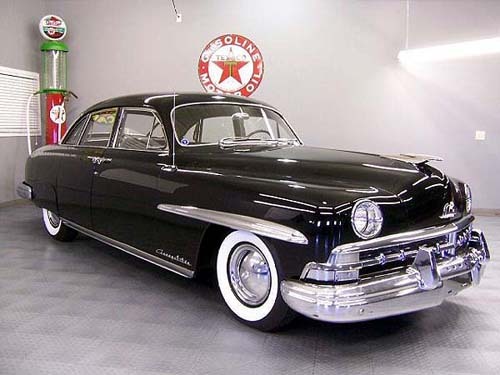 Lincoln's long history of quality and luxury continues into this century and will soon celebrate it's 100th birthday. 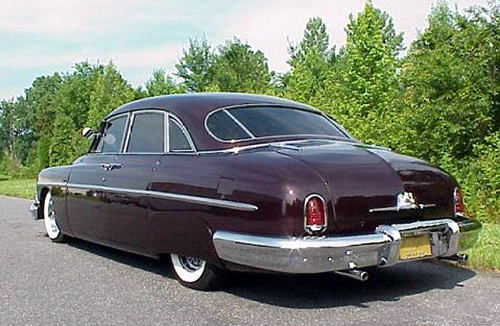 For just 3 short years, from 1949 to 1951, Lincoln shared it's basic body style with the Mercury. 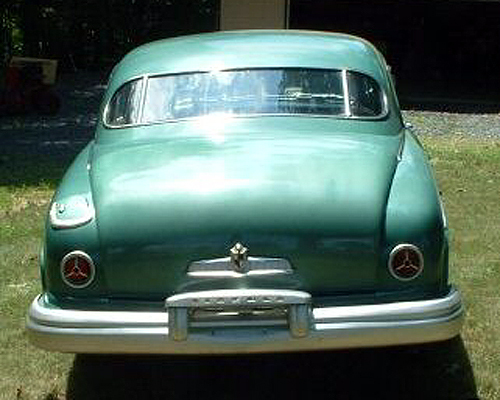 During that time, Lincoln came in two distinct models. The standard Lincoln or "Baby Lincoln", and the Cosmopolitan. 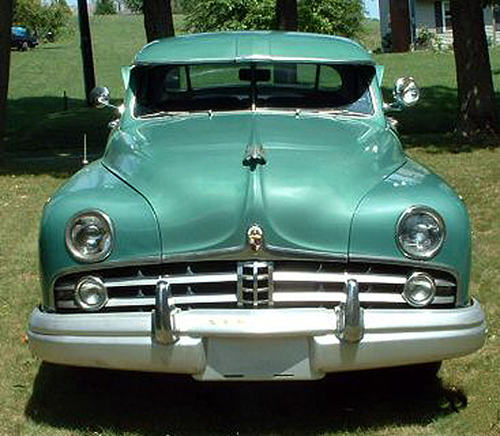 The difference between the Mercury and the "Baby Lincoln" was from the windshield forward. 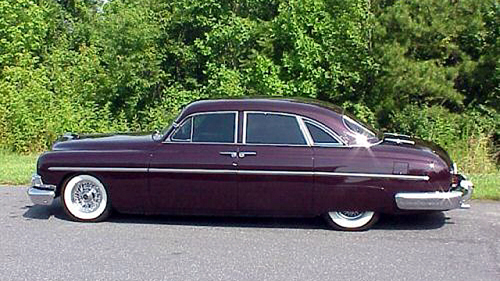 Mercury's wheel base was 118 inches while the Lincoln rode on a 122 inch wheel base. The Cosmopolitan wheel base was 126 inches. 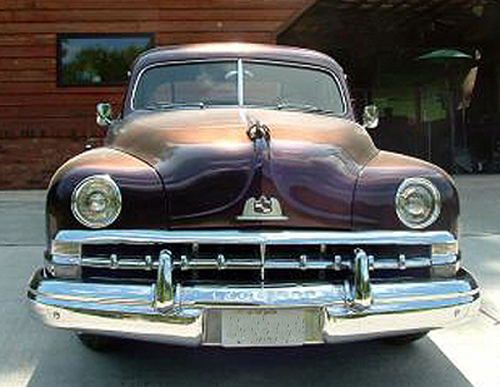 The additional length made it possible for Lincoln to install FoMoCo's largest displacement flathead engine of 337 cubic inches, compared to Mercurys 255 cubic inch flathead. 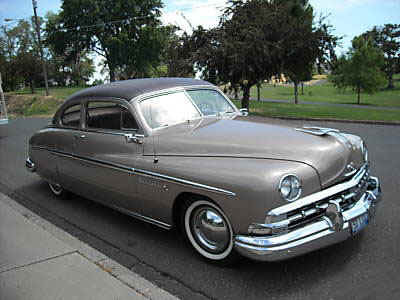 Lincoln also offered an automatic transmission, essentially a hydromatic from General Motors. 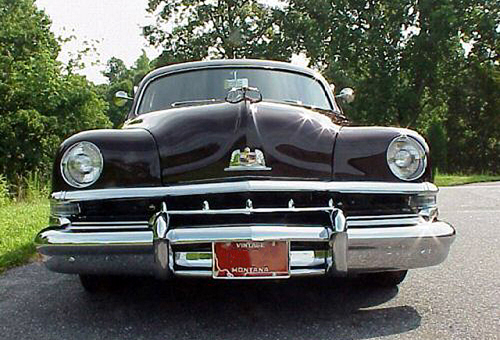 Models for the 1949 Lincoln & Cosmopolitan included a Convertible, a 2door Sedan and the 4 door Sport Sedan. 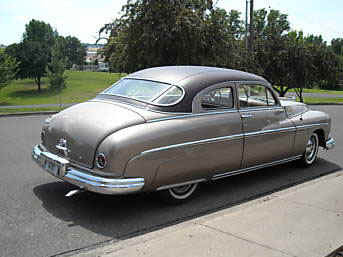 In 1950 & 1951, the Convertible was only available as a Cosmopolitan, while the 2door Coupe and the 4door Sedan was available in both series. 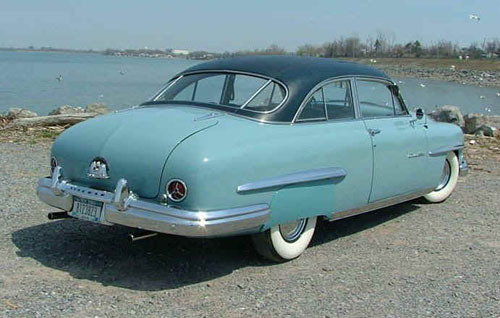 When Mercury introduced the 1950 Monterey Coupe to compete with GM's 2 door Hardtop style, Lincoln also offer a similar Coupe. 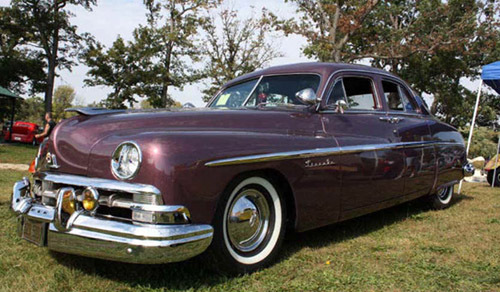 The standard Lincoln Coupe was named the "Lido"and the Cosmopolitan was called "Capri". 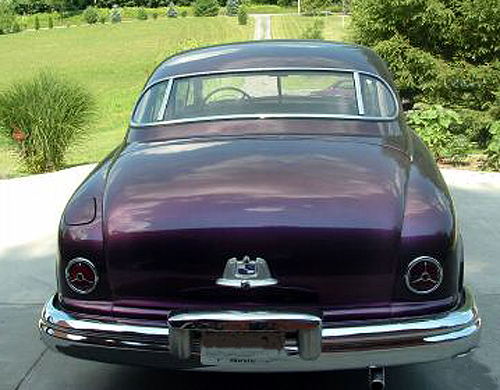 Both of these model names, "Monterey & Capri", would continue on for a number of years.